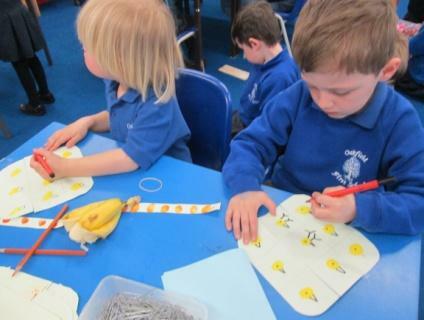 This week we have been doing lots of activities to do with Easter! We started off by reading the Easter story so that we knew the reason why Easter happened. 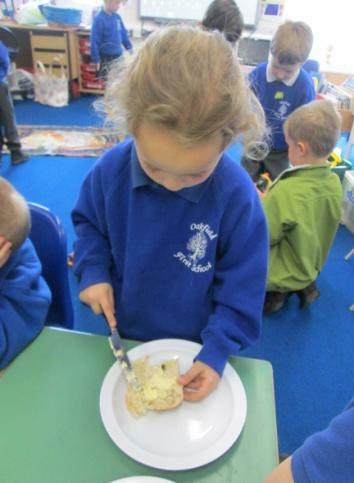 We learnt about Jesus being put on the cross and then we looked at hot cross buns and learnt that this was the reason that we have hot cross buns at Easter time. 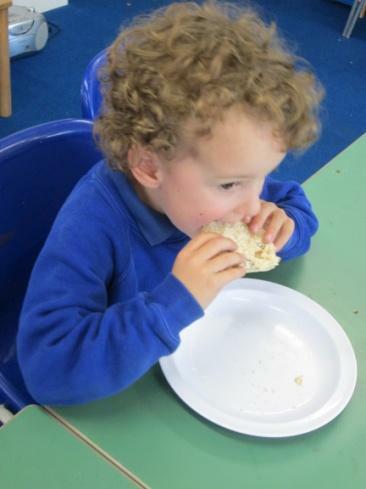 We were lucky enough to taste some hot or cold! 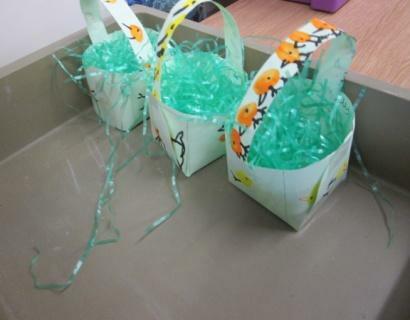 We have also been very busy making Easter cards and special Easter baskets ready for a special treat! 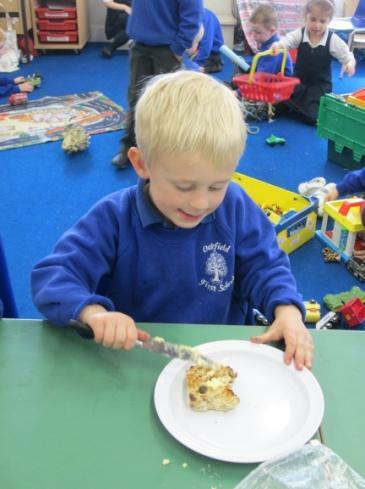 As we have eggs at Easter time, we had a look at the life cycle of a chicken and what happens to the eggs that they lay. 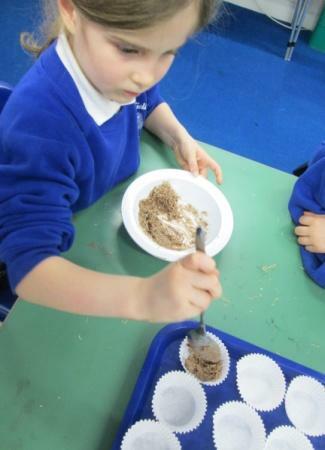 After we had looked at this we had a go at making our own Easter nests....with chocolate! 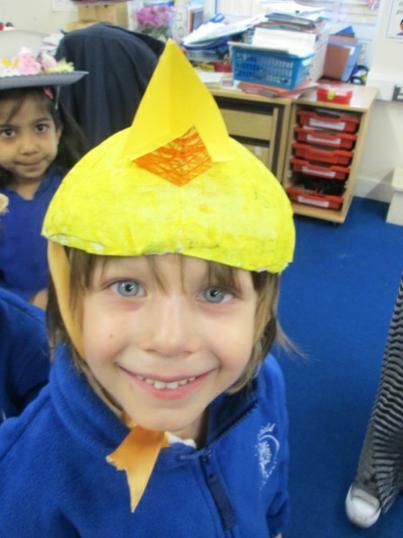 This was a very eggciting activity indeed! 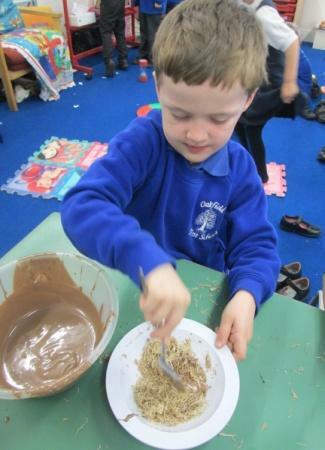 We broke up shredded wheat biscuits to look like twigs in a nest and then mixed in chocolate. Finally we added to mini eggs on top to complete the nest! 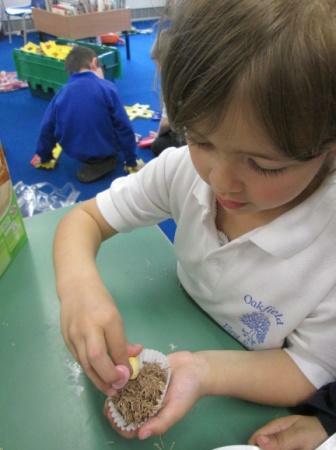 Our chocolate nests went into our Easter Baskets to take home. 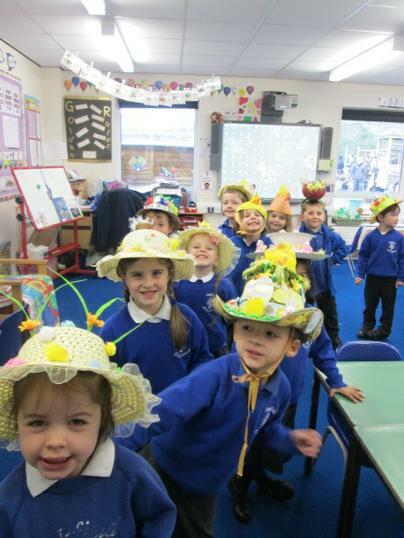 This year saw the first ever Oakfield Easter Bonnet Parade! 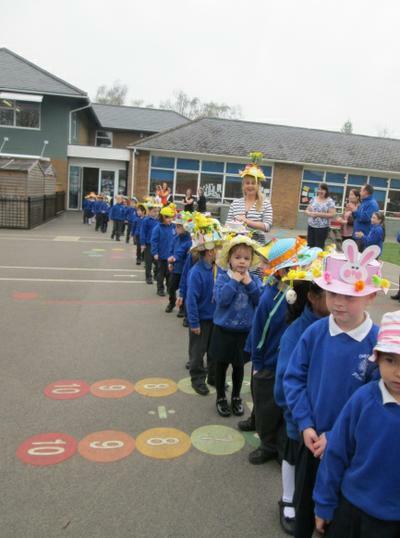 We came in wearing our lovely bonnets and went out into the playground to show the rest of the school and parents who had come to watch. 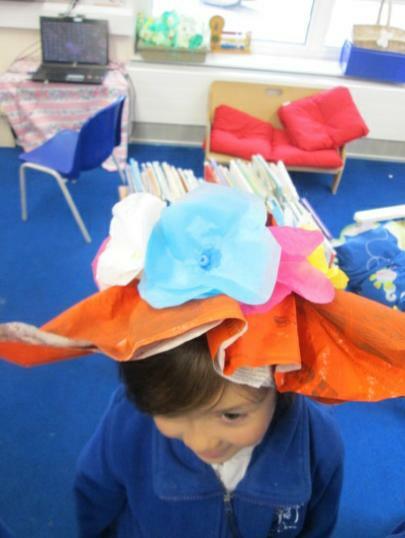 Here are just a few of our creations! 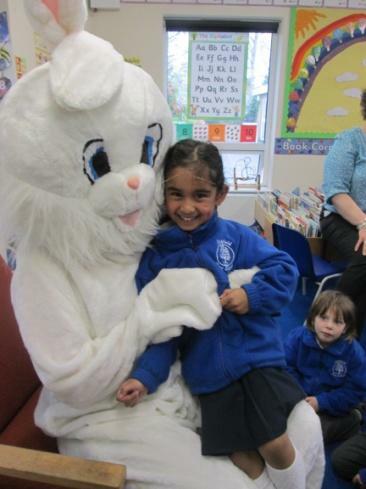 Because we had all been good boys and girls we were very lucky to receive a visit from the Easter Bunny! 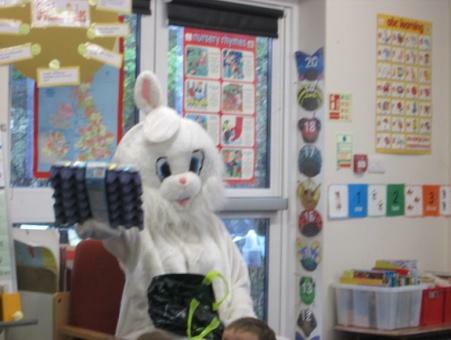 The Easter Bunny hopped into the classroom to see us and gave us a lovely treat, a chocolate egg! 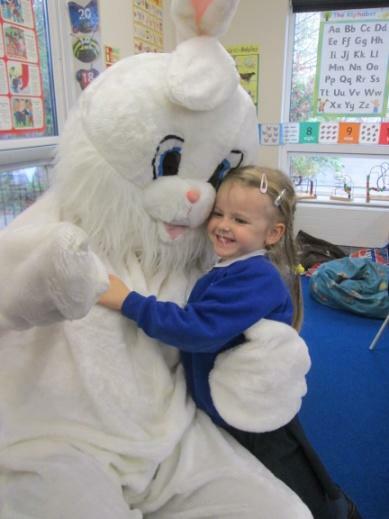 We got a lovely hug from the Easter Bunny too. 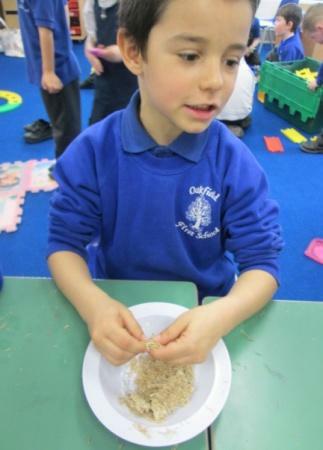 That’s it for this term! 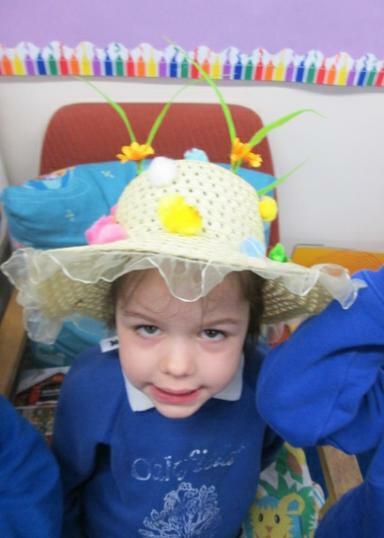 Have a fantastic Easter Holiday! More e-Books will be available on Bug Club during the school holidays as an optional reading extra. The School ID is: aqm9. If you have forgotten your username and password, please see Mrs Turrall. Please be aware that we break up for the Easter Holiday on Friday 4th April at 2pm. There will be no Tea Club facility on this day.